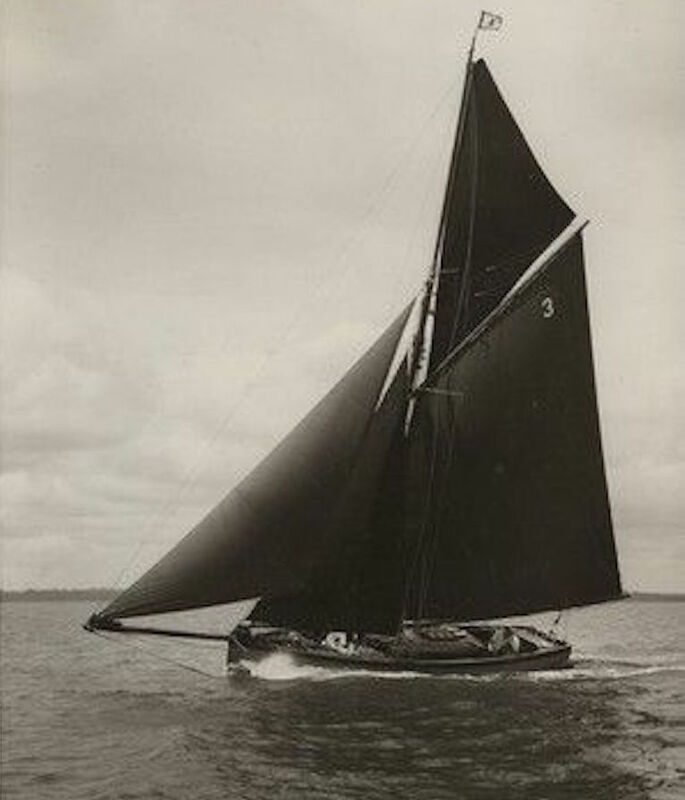 Dolly Varden was bult in 1872 and has had a long and distinguished racing career with an ever changing rig as she was used extensively for testing sails and rigging under the ownership of Tom Ratsey of Ratsey and Lapthorne sail makers who are still operating to this day. 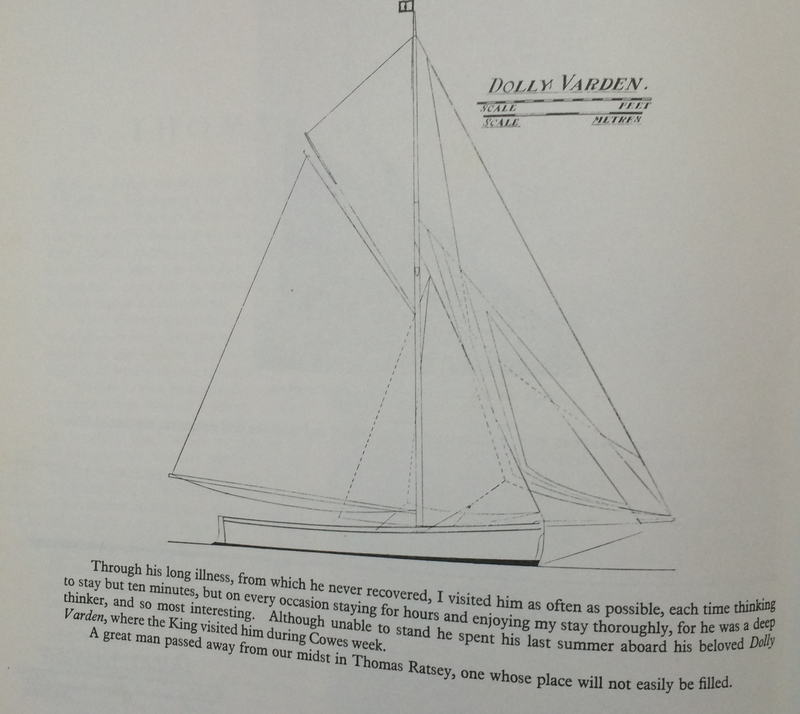 Dolly Varden certainly has plenty of history. 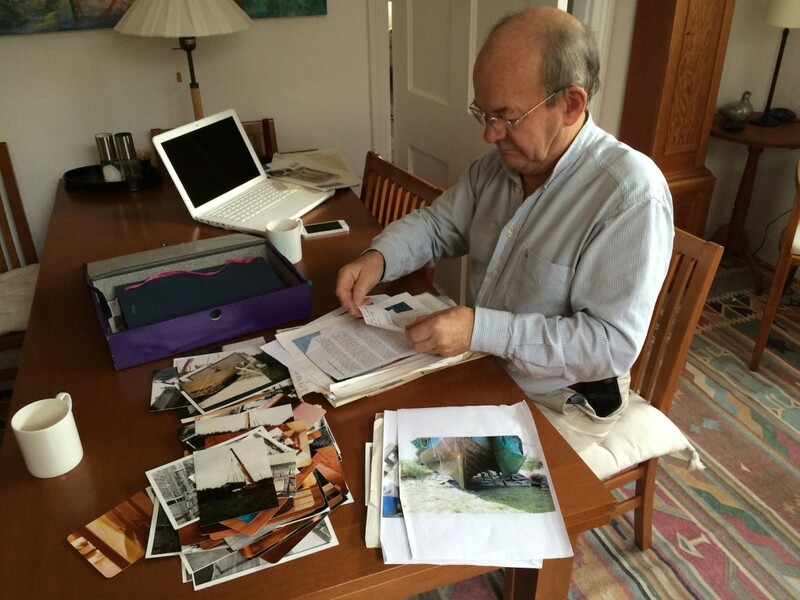 Former owner John Perkins is seen here going through piles of photographs and documents he has collected since purchasing Dolly in 1976. 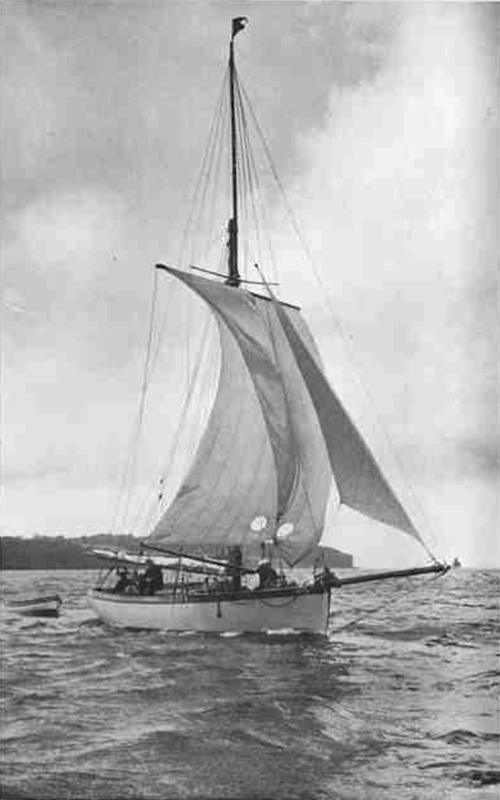 Dolly Varden in the 1970’s a hideous shadow of her former grace and beauty. 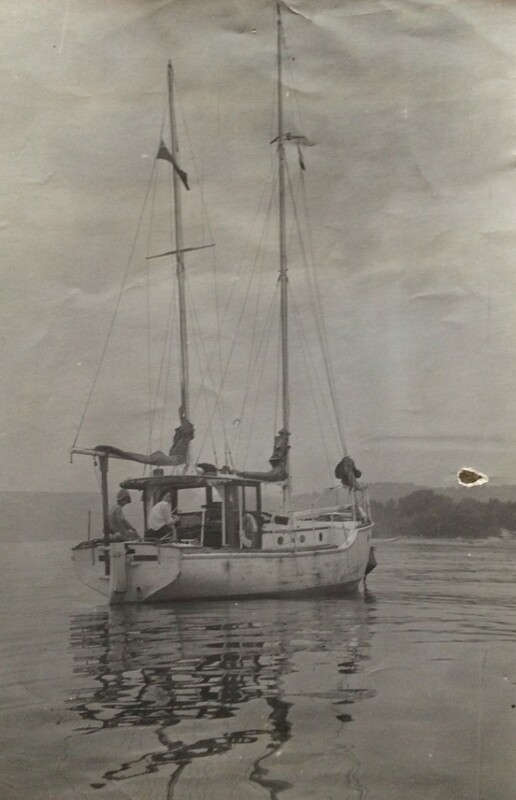 A raised foredeck and deckhouse, makeshift cockpit and an additional mast make her difficult to recognise. 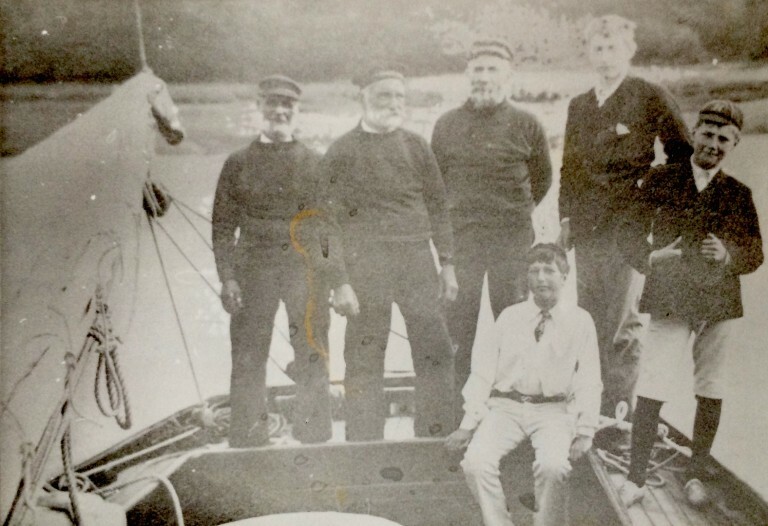 Much of the early restoration work carried out by John Perkins has already gone a long way towards bringing Dolly back to her original lines. 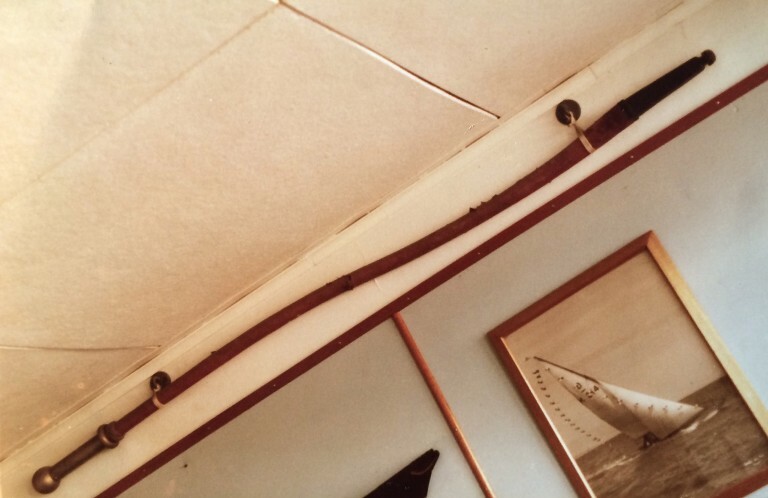 The original tiller arm on the wall at the offices of Ratsey and Lapthorne the company Dolly Varden was so heavily associated with as an experimental platform for their innovative sail designs.